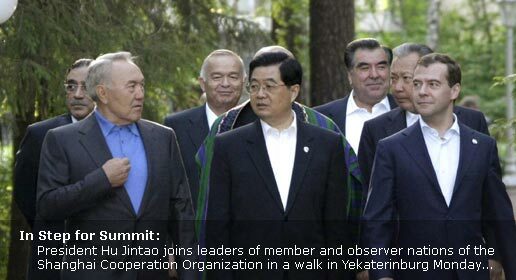 The Shanghai Co-operation Organisation (SCO) was born out of China’s desire to engage the Muslim Central Asian states in a co-operative framework to keep a lid on separatism in Xinjiang. Along with Russia, these states came together to address the threats from “terrorism, separatism and extremism”, the “three forces”, for short. Popular anti-China sentiment might not immediately translate into political action given that Central Asia is ruled by authoritarian regimes. Even so, these governments cannot afford to be seen as too close to the oppressors of the Uighur people. If the unrest continues, the Central Asian republics will be forced to review their current—“but it’s China’s internal affair”—position. Even otherwise, it will be harder now for the presidents of the Central Asian republics to stand shoulder-to-shoulder with the president of China against the “three forces.” So it might well be that this year’s summit in Moscow was SCO’s high water mark. It is too early to predict the end of the SCO but the Uighur revolt will give it a jolt. Author Nitin PaiPosted on 10th July 2009 10th July 2009 Categories Foreign AffairsTags Central Asia, China, Russia, SCO, Turkey6 Comments on Will SCO hold?